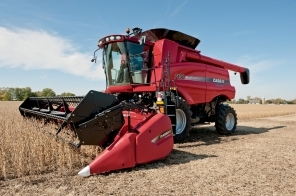 Combine Reels | HCC Inc.
HCC Combine Reels improve performance and reduce combine downtime. EVER SINCE H.D. HUME invented the combine reel in the 1930s, HCC has manufactured a more dependable, more efficient combine reel for its customers. Over the years, HCC has continually upgraded its combine reels with advanced engineering and design, creating a combine reel with fewer parts, stronger components, greater visibility, and lighter weight. All HCC combine reels are sold through our national network of distributors!